Looking for a great family movie? 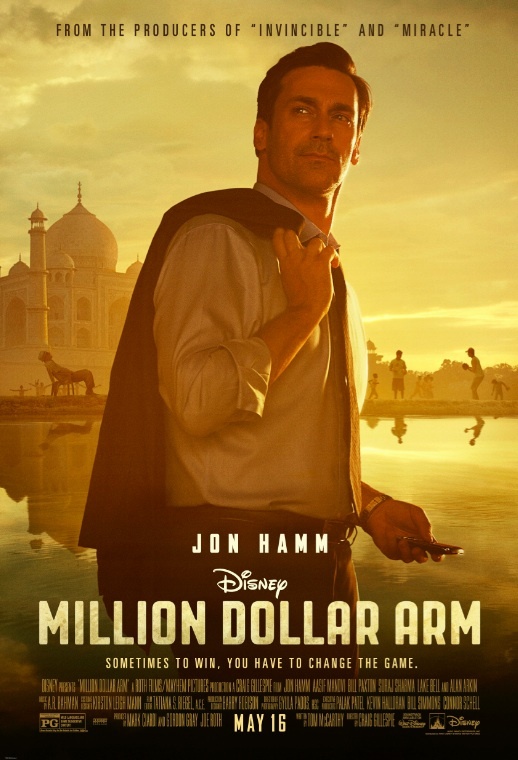 Coming May 16, you’re in for a real treat with “Million Dollar Arm,” the new Disney film about a sports agent who goes looking for the next big Major League Baseball star in India. We were invited to an early screening of this movie and loved every minute about it, especially the positive messages about hard work, goal-setting, the importance of family, and the genuine good humor throughout the movie. It also offers some fascinating glimpses of life in rural villages in India. We can’t wait for it to open in wide release so that we can take our Little League players who understand all too well how easy the major leaguers make it look…and how hard it is to learn to be a great pitcher in real life. This is a fun sports movie that we can’t recommend highly enough. Thank you to Disney Pictures for giving us a sneak preview of the film! Million Dollar Arm is rated PG and opens May 16. I’ve got two kids, and that life is plenty complex, so it’s hard to imagine having….533 kids? 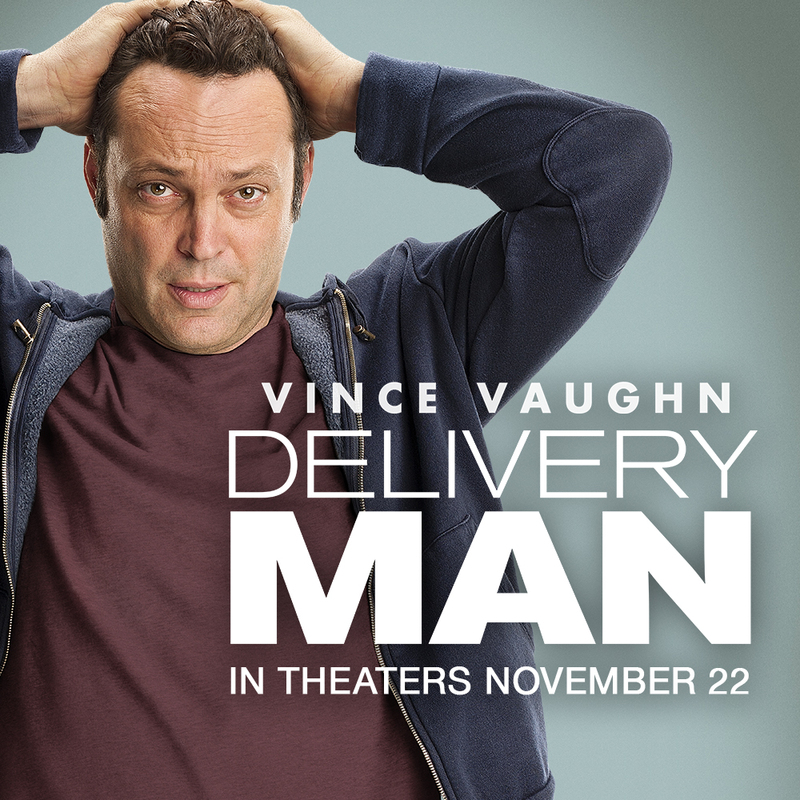 But that’s the madcap dilemma that Vince Vaughn faces in “Delivery Man” – a Disney movie coming to theaters on July 22. 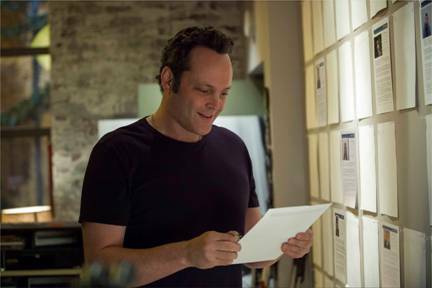 In the film, Vaughn plays an affable underachiever looking for his purpose in life, when he finds out he’s fathered 533 children through anonymous donations to a fertility clinic 20 years ago. Now he must decide whether or not to come forward when 142 of them want to meet their biological father. For many people, the natural instinct might be to run as far away as possible. But Vaughn begins to realize that this is the “one big thing” that can bring meaning into his life… and he decides to take on the role of “guardian angel” for his offspring. Why am I writing about it today? – Because I’m just one of 533 bloggers doing a “special delivery” preview of the movie today. This morning all 533 of us are proudly presenting this new, never-before-seen clip on behalf of Disney. Want to learn more? Follow #DeliveryManMovie on Facebook, Twitter, Pinterest, or on Instagram at DeliveryManMovie. Blogger disclosure: I did not receive compensation for this post; all opinions expressed are my own. Are you ready for some good, old-fashioned summer adventure? Do you love a classic Western? Or are you just looking for your Johnny Depp fix? Either way, you’re going to have a great time at The Lone Ranger, the new Disney film opening July 3. “The Lone Ranger”is an edge-of-your-seat adventure infused with action and humor, in which the famed masked hero is brought to life through new eyes. Native American warrior Tonto (Johnny Depp) recounts the untold tales that transformed John Reid (Armie Hammer), a man of the law, into a legend of justice—taking the audience on a runaway train of epic surprises and humorous friction as the two unlikely heroes must learn to work together and fight against greed and corruption. Need any further encouragement? The film was brought to you by producer Jerry Bruckheimer and director Gore Verbinski, the filmmaking team behind the blockbuster “Pirates of the Caribbean” franchise. The story is told in an imaginative fashion, through the eyes and ears of a little boy hearing a very elderly Tonto detail his adventures with the Lone Ranger. The action in the film is huge and it’s infused with humor throughout. Johnny Depp fans will find echoes of his Jack Sparrow character: Tonto, like Capt. Jack, seems to be one of the only true “good guys” among hundreds of criminals and corrupt officials. All in all, it’s quite a ride. Our nine-year-old was completely captivated from start to finish. 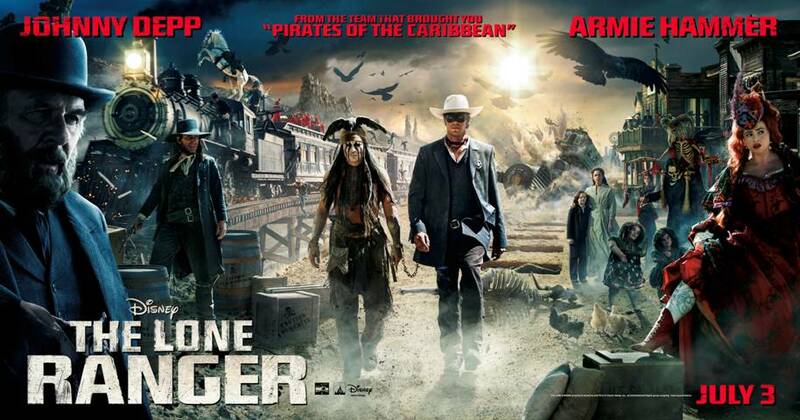 “The Lone Ranger” opens nationwide July 3. Blogger disclosure: We did not receive compensation for this post, although we were invited to a complimentary media screening of the film. In our house the kids couldn’t wait for school to be over, but they were more than happy to head off to “scaring school” at Monsters University. 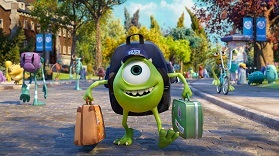 In Disney/Pixar’s fun new prequel to Monsters Inc., we follow Mike Wazowski (Billy Crystal) and Sulley (John Goodman) back to their early days as brand new students of scaring at Monsters University. While Mike Wazowski is earnest and studious, Sulley thinks he can coast by on his natural scariness and his strong family name. But when both characters nearly lose their chance at being part of the prestigious Scaring Program, they have to band up with a team of unlikely misfits at the Oozma Kappa to prove their ability to hang tough and be successful in the scaring world. 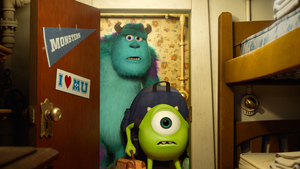 Monsters University hits the theaters on June 21 – so just as school gets out, you’ll be ready to start hitting the (scaring) books. Blogger disclosure: Disney/Pixar treated me and a family member to a screening of the movie; I did note receive compensation for this post.